Fire crews battle iconic school blaze Jump to media player A major fire has badly damaged Glasgow School of Art - one of Scotland's most famous buildings. Mackintosh clocks tick in Art School Jump to media player A unique system of clocks designed by Charles Rennie Mackintosh is reinstalled in Glasgow School of Art. Students watch on as school burns Jump to media player Students and teachers have been describing the moment a devastating fire broke out at Glasgow School of Art. 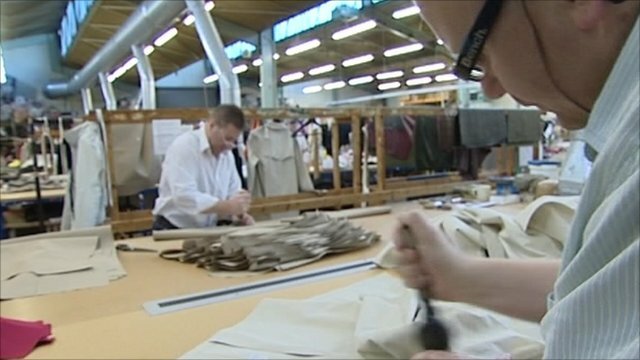 Mackintosh opens first fashion store Jump to media player The coat making company Macintosh is to open its first fashion store in London. 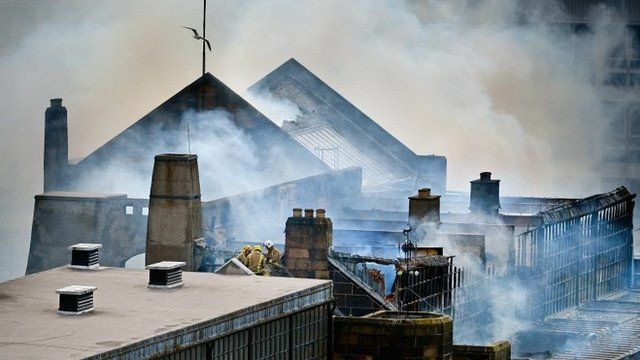 A major fire has badly damaged Glasgow School of Art - one of Scotland's most famous buildings. The building is considered the masterpiece of Charles Rennie Mackintosh, Scotland's most influential architect and designer.